Winner of the Independent Publisher Book “IPPY” Award and an American Book Award! Growing up in Las Cruces, New Mexico, the lean child of working-class Chicago transplants, Judy Grahn hungered to connect with the larger world, to create a place for herself beyond the deprivations and repressions of small town, 1950s life. Refusing the imperative to silence that was her inheritance as a woman and as a lesbian, Grahn found her way to poetry, to activism, and to the intoxicating beauty and power of openly loving other women. In the process, she emerged not only as one of the most inspirational and influential figures of the gay women’s liberation movement, but as a poet whose vision and craft has helped to give voice to long-unexplored dimensions of women’s political and spiritual existence. In telling her life story, Grahn reflects on the profound cultural shifts brought about by the women’s and gay rights movements of the 1960s and 1970s. The “simple” revolution she recounts involved not just the formation of new institutions (the Women’s Press Collective, Oakland Feminist Women’s Health Center, A Woman’s Place Bookstore), but the creation of whole new ways of living, including collective feminist households that cut through the political and social isolation of women. Throughout, Grahn describes her involvement with iconic scenes and figures from the history of these years—the Altamont Music Festival, the Black Panthers, the imprisoned Manson women, the Weather Underground, Inez Garcia—sometimes as witness, sometimes as participant, sometimes as instigator. 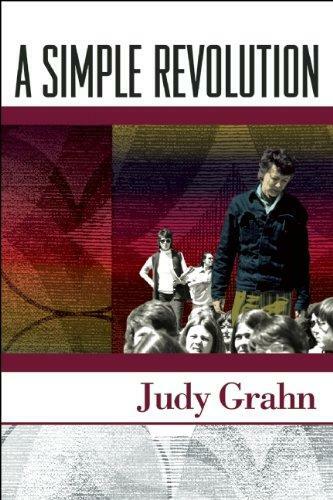 Looking at these events and people within the context of the women’s movement, and through the prism of Judy Grahn’s luminous poetic sensibility, we see them anew. In A Simple Revolution, Grahn refuses dramatic, psychological narratives that readers have come to expect in memoirs. What emerges is a new, deeply compelling story, grounded in honesty, humility, and compassion—compassion for herself and for the wonderful, if wounded, people who surround her… striking an artful balance between remembering her past, the past of others, and intervening politically in how we think about history.